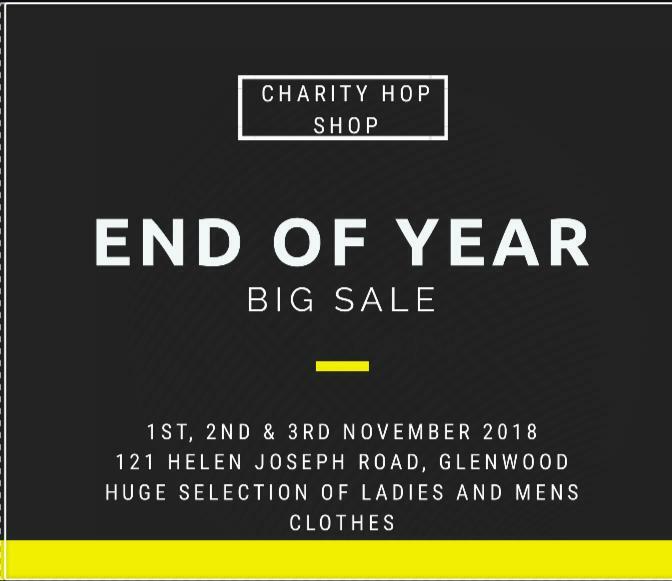 Charity Hop Shop – End of year sale!!! Home / Charity Hop Shop – End of year sale!!! Join us on the 1st, 2nd and 3rd of November 2018 for our huge end of year sale. Massive selection of ladies and mens clothes to choose from.